We’re doing Christmas Dinner for the family this year and when I say ‘we’re’, I mean the Other Half is doing all the cooking while I sip on Kir Royals and pick up discarded Mickey Mouse wrapping paper. So how am I going to pull my weight? Well, I thought I would do a deep clean of the house on Christmas Eve. And as luck would have it, what came through my letter box on Christmas Eve morning? 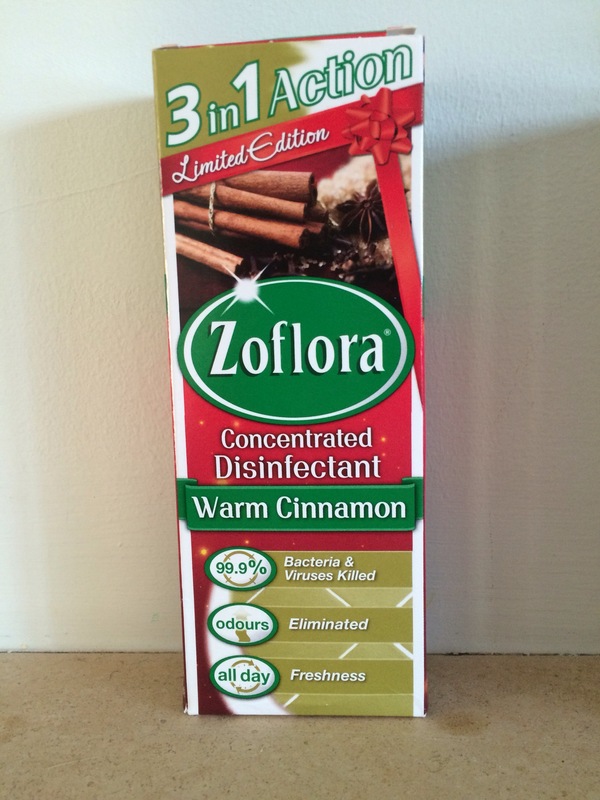 A box of Zoflora disinfectant, that’s what! I appreciate that cleaning is a chore and a necessity, but what I liked about this disinfectant was the smell as despite having to give the house through scrub, I was able to get into the Christmas spirit as I scent I had been sent (!) was Warm Cinnamon. Zoflora really is a three in one multi-purpose cleaner as it can be used ‘neat’ on ceramics and metal, as a spray or in water. I decided to pour it into a bucket with boiling water and wash all the hard floors in the house. We are the proud owners of an almost one year old who daily crawls the length and breadth of the house multiple times, so it’s important that our cleaners kill germs. Zoflora kills 99.9% of bacteria and viruses including E.coli and Salmonella so it was perfect to use on our kitchen, living room and hallway floors. 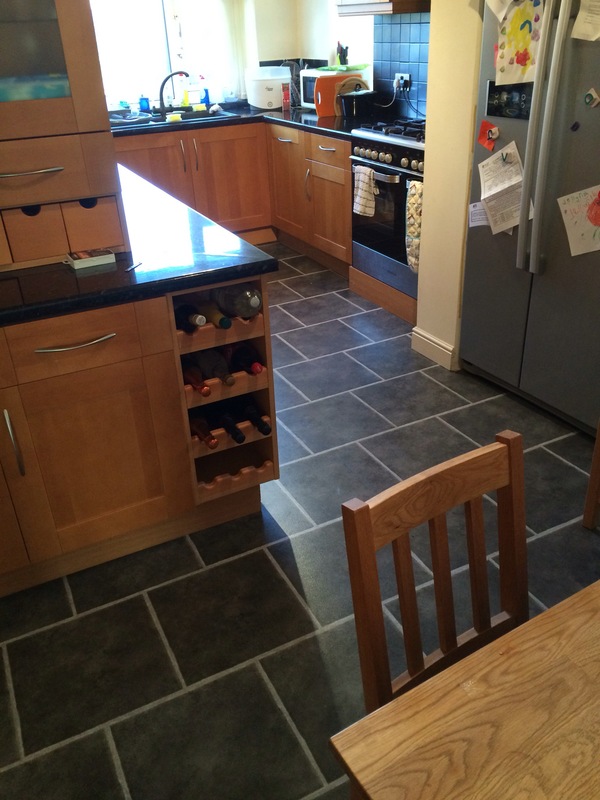 A clean germ free kitchen floor – well 99.9% germ free anyway! Once the floors were clean and the rooms tidy, I took a few pictures as evidence for you guys (and my Mum) that my house can be neat and tidy. 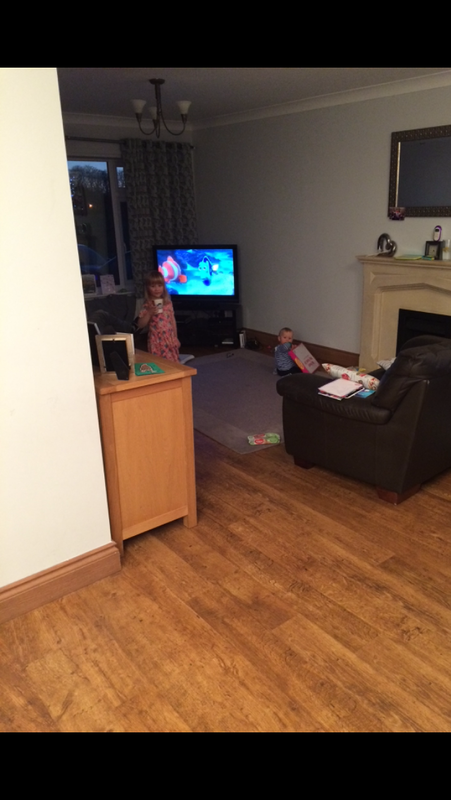 Within minutes, the children and the Other Half destroyed the living room by playing a game of ‘Monsters’ and by throwing toys everywhere. The lovely Christmassy smell, however, lingered for a long time as proof that my house, if only for a few minutes, can by lovely, clean, tidy and germ free!